Home » Webinar Today: “The Advantages of Buying a Franchise.” Are You Ready? Your free assessment is HERE! Webinar Today: “The Advantages of Buying a Franchise.” Are You Ready? Your free assessment is HERE! and you will receive an assessment valued at $279! FIND OUT IF YOU ARE PREPARED! 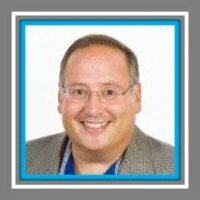 Dan Citrenbaum is a franchise coach and consultant to entrepreneurs, who helps people achieve their dreams as small business owners. He has a proven track record helping people select and buy a franchise or existing business. And now he’s here to share his expertise with you! You’ve got your mind set on what seems like the perfect franchise, and you’re already dreaming about your future life as a successful business owner. Sound familiar? Sound like a lot? Not when you consider the importance of this decision, the commitment of time and money. Because once you take the leap, you and your money are on the line. There will be no one else to pick up the slack when you feel like slinking away. Choosing a franchise that is right for you is the tricky part. The answers you need require research. Choose a Coach. A franchise coach can give you a broad window into the world of franchising, which is far larger than you likely realize. The International Franchise Association estimates that there are more than 3,000 franchises across more than 75 industries. The good news is that most franchise coaches will not charge you any fee. You can get expert help for free! Contact Franchise Companies. As you start to narrow down your search to a sector and then select a few franchise companies that you think might be right for you, you need to learn the way these businesses work. Call the franchise company and ask them about their process and what is necessary to succeed in this business. Your goal is to figure out whether this process will work for you. Interview Franchisees. The franchisees once stood in your shoes, and they will want to help. The franchise company will give you a list that includes every one of their franchisees. Prepare a set of questions to ask each franchisee, and don’t . be shy. Just be cognizant of their time. You may need to make an appointment for your conversation. If you can do it in person, so much the better. Get a tour, and find out how their businesses are going. Are they making money? Get specifics. How much? Does actual reality match up with what the franchise company told them. Where hasn’t it worked out so well for them? Why? Would they do it again? What are their tips for success? You should also talk to franchisees who have left the system. You’ll find those names on the list from the franchise company. They may be harder to locate, but learning about how things might not go so well is extremely worth your while. Don’t skip this step! Consult an Accountant and Attorney. These specialized professionals will help you go through the Franchise Disclosure Document, which franchise companies are required to produce. Make sure the attorney specializes in franchising. The franchise agreement can be a couple hundred pages long. If the lawyer lacks experience with franchising, he or she may not know what to watch out for to ensure you are protected. You don’t want to sign your name on any contracts without first consulting with a good franchise attorney and accountant. Learn more at Dans latest webinar “5 Advantages of Buying a Franchise that you must know”.